WHAT IS THE INTERNET OF THINGS AND HOW DOES IT AFFECT A BUSINESS’ DIGITAL MARKETING? What is the Internet of Things? What are the effects that the Internet of Things bring to a business’ digital marketing? You may have heard the term – “Internet of Things” or IoT – more than once. It’s a common topic that many people and businesses seem anxious or excited about. When the news broke out of how it will change even an ordinary person’s life, people have been trying to grasp how much impact the Internet of Things or IoT will have in their daily activities. But the impact is mostly anticipated by businesses, especially on how it will change the game for Digital Marketing. Before I go on and elaborate about the impact of the Internet of Things for businesses, let us meet on common ground so that everyone understands what the Internet of Things is. The Internet of Things basically deals with any equipment, appliances gadgets and other items connected with each other through the use of the Internet. Sometimes this is referred to as a machine-to-machine transaction or communication. Let’s say, for example, you need to monitor activities at your house, and you install a CCTV (Closed Circuit Television) to enable you to do just that. Then you install an application or app on your mobile phone so that anywhere you are, you can watch everything that is captured by that CCTV, and streamed to your mobile phone. Voila! You are already applying the principle of IoT. It is literally a web of ‘things’ connected seamlessly with the help of the Internet . Since the birth of the first electronic telegraph in the 1832 in Russia, the idea of the Internet of Things was inevitable but not yet realized. The simple machine only helps people communicate from a certain distance and it was not made available to just anyone. However, as the technology started to advance from this simple machine for communication and getting connected to and through the Internet was made easier, people started to realize how much impact it would cause in the daily activities and how business would change in some ways that it would work. By the year 2009, the Internet of Things was born and people started to anticipate what will become of it. With IoT looming to change how consumers would look for products and services, businesses knew they had to step up and pick up the pace in terms of their marketing strategies. The way they deal with consumers would no longer be as hard as before but would also pose certain challenges. Businesses perceived such high impact towards digital marketing which would positively affect their business especially when they are equipped with the right digital marketing strategies. In order to determine which digital and other marketing strategy a business must develop or improve, the impact of the Internet of Things must be determined first. These effects on businesses would lead to strategies that would eventually become crucial in surviving the Internet of Things. In order to have a clear view on these impacts, here are the things that you can expect for businesses to encounter once the IoT dominates the digital world, especially for your digital marketing strategies. The Internet of Things provide benefits for both consumers and businesses. As a consumer, imagine you can program or control the washing machine or oven from wherever you are. Let’s say you started your laundry, and halfway to the supermarket you realize you forgot to separate the colors. Wouldn’t it be great if you can instruct your washing machine to stop and pause the process? Or maybe you forgot to turn the oven off? It would be such peace of mind to be able to switch off the oven as you drive into the highway, right? The internet of Things can provide such freedom for consumers to do things manually, from any location, without the fear of any miscalculations. For businesses, having access to the data of what interests their clients most and how they behave can provide essential information of what features and steps they need to make next in future models. The data gathered from consumers will be far easier than before and can be programmed on a certain time or day. The data can then be sorted by a company’s own program or system. Digital marketing strategies that can be used or boosted will be determined from the data gathered. Never before has brands been able to acquire and capture such accurate data that can help improve their product or service. This live data also enables a company to pinpoint any issues that may be happening at the moment, which leads to the next impact of IoT for businesses. Any consumer would like to have an immediate customer support at the time an issue breaks out, and have it resolved as quickly as possible. One of the best part of a company’s digital marketing strategy is having an effective customer support system that can help retain consumers’ trust and loyalty by providing accurate solutions to the issue/s they might be facing with the product or service. But imagine if the company can provide customer support before the customer even contacts them? Imagine just as the dishwasher breaks down, you get a call from the customer support immediately informing you that they are aware of the issue, and are working furiously on it to resolve it as soon as possible. Isn’t that far better? The Internet of Things can make this possible. With the machine to machine transfer of data, a company can launch a customer service related program that enables it to determine which consumers are having issues with the products or services. This allows the company to assess the situation real time and give solutions immediately without asking too much questions to the consumer.The company can also include this customer support program through their digital marketing strategy by launching it together with other strategies, such as their social media campaigns. Social media is a powerful tool for any business’ digital marketing strategy. With an engaging and relatable content, consumers are willing to share a business’ blogs and videos on their own social media accounts. The customer’s experience of a company’s service or products may also be posted through their social media accounts. Internet of Things can help build a better way of optimizing a company’s social media campaign to rally and win these brand ambassadors. In this Age of the Internet, people like to share their experience on blogs, social media, review sites, etc. Consumers like to share their satisfaction (or dissatisfaction) with the products or services. This is an advantage for businesses by creating a program that allows a consumer to share their experience instantaneously on their social media accounts. This will then become a way of marketing the products or services of a business to any potential consumers who are also using social media. IoT will work its way on providing better means of spreading the feedback of consumers on social media. Because feedback is sent instantaneously with the Internet of Things, companies can create better ways of making better and smarter products. Consumers nowadays don’t just look for something that can help them with their daily activities, they also look for something that they can monitor even when they are not around. A washing machine that ‘intuitively’ knows how much water and soap needed for a certain group of clothes is better than a machine that needs to be filled with water and soap through manual selection of options. Internet of Things enables companies to create digital marketing campaigns that will dominate other company’s campaign by promoting directly through the products or services. The feedback gathered from the consumers will be a great basis for a company on which part of the product they need to improve and which feature they need to highlight in their digital marketing campaigns. Although many seem skeptical on the safety of data transfer especially on confidential information, the Internet of Things can become a great way of preparing businesses for any security breach. Analyzing the situations and scenarios can become easier for businesses since they can find ways to trace information that has been hacked or stolen. The IoT helps companies develop a way to lock information on a product with less risks of being hacked or stolen. The development of data security is very important, especially for companies’ sales records and personal information of consumers. With the advancement of technology and smarter products, Internet of Things can change the way data is secured. This will benefit companies and consumers, enabling them to protect the information they deem sensitive. Any company can benefit with the Internet of Things’ dominance in the coming years. IoT can gather more relevant information, feedback and sales data directly from a consumer’s home. With the information on hand, companies can then prepare and apply the best solution for any hiccups that consumers and the company itself may encounter. IoT is also the best way of spreading the word about a company’s brand and how it is unique from other brands. With the right application of the Internet of Things in a company’s digital marketing strategies, the possibility of having a brand that can be recognized and trusted by consumers will be achievable even by small scale companies. Return on investment will be faster with higher number of click-throughs and sales from contents that are relevant with the help of data gathered through Internet of Things. Internet of Things may become a big hit for any company, especially when applied wisely on their digital marketing campaigns. This is not to be feared; it should be seen as a challenge that can level the playing field of companies, big and small. Companies should learn to adjust and adapt with the changes being brought by the Internet of Things in order to survive a more competitive world that it may bring. Great branding for your business can create positive impact in digital marketing. Know how branding affects your business in the digital world. When we talk about branding, you tend to think it’s just the logo or an image. In a sense, this is true. However, you are missing more than you might think. Branding in businesses means more than just a logo or icon. The brand is the complete experience from the point of first contact with consumers. It is a promise of what to expect from your products and services while differentiating you from your competitors. It can create great impact in a business’ growth and stability. This is also true with a business’ Digital Marketing Plan which is now used more often. While it is true that it is the creation of names, logos, images or designs that creates the individual identity of a business’ product or service, it must be reiterated that this is just one of the many aspects of branding. Creating a brand that can effectively portray the benefits and promise of a company to their customers takes great decision-making, effort and time. Most businesses invest on branding to make sure they can effectively reach customers, even in digital marketing. Because people use the internet more often for their needs, businesses create stronger brands to penetrate the digital world. But before you spend too much on creating your brand, you have understand more on why you need it as part of your digital marketing. These benefits can also help you determine which part of branding you need to focus on. Identity is a big deal in business, especially in digital marketing. If you remove all brands, products and services are essentially the same in form, use or purpose. But making a great brand to match your company’s promise becomes a way for people to recognize your product or service from other companies. Branding gives you an identity or image that may even be bigger than your company. This can be great if you want to appeal more to your customers or become a public image. It can help to generate more sales and even credibility for your business and the products or services that you offer. A brand is a company’s banner of pride and promise. It claims what the company aims for and what it can bring for its customers. It shows how much you are committed to your customers’ needs. It also shows how you will only offer services or products that live up to your promise. In a study done in 2013 by Forrrester Research, 70% of consumers trust brand recommendations from families and friends and only 10% trusts advertising. If you tap even a portion of this percentage by delivering a promise with your product or service, then you are surely doing a great job on your brand. You build pride and credibility in your brand and in return gain your customers’ trust and loyalty. Creating a brand that touches the emotions of customers can be a huge help in building loyalty and trust. Customers can be pretty zealous when it comes to using and promoting the brand that they believe in. When your brand starts to gain attention and you are able to compete with the brands that most target market uses, then customers are starting to trust your brand. When customers start to trust your product, they will eventually become loyal customers. According to a study made by Ernst and Young, 25% of US consumers consider brand loyalty as a great factor in buying behavior. This shows how much customers would likely be loyal to brands they have are familiar with. When your business start to gain more loyal customers compared to other brands, it is a sign that you are doing a great job presenting and delivering your promise through your brand. Having more loyal promoters for a business’ brand will increase the possibility of gaining more consumers. This will also be your stepping stone for stability and growth in the industry that your business pursues. Your brand needs to impress and persuade customers to buy your product or service instead of the generic kinds or other brands. The better your brand stands out from the rest, the more sales you can get. Once your brand gets recognized by customers, the possibility of growth is within reach. Having a brand also creates an impression that your company is stable. For customers, this means your company is already established in the industry you pursue and you know what you are talking about in your promise. For investors, this means your business is stable enough to handle bigger ventures and can take calculated risks. Both of these create a huge impact for your business in terms of revenue and recognition. When you have a brand worth promoting, investors will come pouring in. These investors will trust you to create profit and that they will gain from their investments. This is an opportunity for your company to improve and develop better products or services. Your brand can also attract other companies to buy it or create a tie-up for expansion of your business. If you are the competitive type, you will keep your brand. This means you are confident that your brand will get you to your goal. But if you are open into selling your brand or cooperating with other companies, then this means a great opportunity for you to learn other techniques and strategies that can help your business further. Brands are great to keep your company visible and memorable for customers. When you create an impact with your brand, customers will likely remember it and recognize it when encountered. It is a must to make sure you create a positive impact so your brand will be remembered as a good brand. Branding can either work or break your company. It contributes to customer experience that you need to be cautious with. Make sure you deliver the promise that your brand offers to ensure a better relationship with your customers. When making your brand unique and memorable, also build it such that consumers have good, strong and favourable associations with it. If you want to create a great brand with Digital Marketing but don’t know where to start, getting help from branding experts can definitely be a great option for you. These experts will deliver a brand that suits your promise and also your company needs. Feel free to Contact Me about this. I can help. WHAT SUCCESSFUL DIGITAL MARKETING IS MADE OF ? WHAT SUCCESSFUL DIGITAL MARKETING IS MADE OF? Businesses should recognize that the Basics of Marketing still applies to Digital Marketing. That is, there must be a Marketing Plan that details each Marketing Strategy and Tactic with clear Marketing Objectives for each, and how to achieve each objective. The entire online marketing can be simple to complex, depending on what are the business goals, how fast to get to each goal, what are the funds available for each, and how the company designs it. A company can start with a Simple Marketing Plan, and as it receives feedback and data, the business can add or remove options. Alternatively, when the budget allows, the choice is to have as many suitable and appropriate marketing strategies as possible, and add or remove when there is a need. If a business is not able to determine accurately on which part of its Digital Marketing is really not working, then issues may arise. For many businesses nowadays, having effective Internet Marketing is a major plus and can also be very challenging. However, there are elements of Digital Marketing that are not and should not be easily discarded or even ignored. These are the most basic and also most important parts of Online Marketing. These days, one cannot do business without a website. It is akin to the store front of your business on the World Wide Web. The design of your website becomes an important component of your Digital Marketing Strategy. They say that First Impressions Last. And you should make a Great and Lasting first impression because in this fickle and fast online world, you rarely get a second chance after that. Think carefully on the entire design, especially User Interface (UI) and User Experience (UX). Look at the design as a whole, and consider how the eyes of the people visiting your website will move across the screen, and what draws their attention. Each button should be clearly displayed, and the link should direct your visitors to where they intend to be and have the information they want to know. * Tip: Be Careful of Broken Links! If any parts of your website is not working, it may cause frustration to visitors, and chances are they will leave your site. Check for Broken Links regularly, and fix them immediately! Your website should also be neat; the less clutter, the better. Remove buttons that are not necessary or place them under tabs. Place information on your homepage that are concise but still informative. Make sure you feature more of your business than other ads. Ads are great since you also get to promote other businesses, but having too many can make your site look spammy. Consumers will also feel agitated if they accidentally click on an ad instead of a button or tab in your site. These are just some of the points to note with regards to Website Design and Development. There is a lot of ground to cover, and it would be more suited to be an entire article on its own or spread over a few articles. Watch for more articles that I will be writing soon about this. Mobile phones today are no longer just for calling or sending text messages. They have become devices to take photos and videos, check emails, and even surf the Internet. As such, it is just common sense to make your website Mobile Ready so that visitors, who can be your client or potential client, can access your site even when they are on the go, and using their smartphones or mobile devices such as the tablet. So what does that mean for your website? Simply, it means that if your site is not optimized for mobile devices, you will see your rank drop in search results, and a significant decrease in mobile traffic from Google Search to your website. It is well known that most people do not read beyond the 1st Page of Search Engine Results Pages. This will mean that chances of people discovering your business will be lower, you will get less traffic to your website, fewer leads, and ultimately this will affect sales. Now, more than ever, it has become very important for you to make sure that your website is Mobile Friendly. And how to find out if your website is mobile-friendly? Google provides a very simple and easy to use tool to test if your website is mobile-friendly. Go to Google’s Mobile Friendly Test. Enter your website’s url and click ‘Analyze’. The tool will analyze your website. If your website is Mobile Friendly, there will be a message to inform you that all is well. But if your website is Not Mobile Friendly, then there will be a list of issues for you to work on. It is very gratifying to see your business on the first pages of Search Engine Results Pages, also known as SERPs. More importantly, it helps to increase Brand Awareness, drives more traffic to your website, and increase leads that can results in a boost in sales. For example, back in 2014, I used SEO to Rank a Digital Marketing Agency on the First Page of Google and other search engines. Before the site was on First Page, there were only one or two emails or calls per week. After it reached the First Page, there were at least five emails and calls per day. Each was an opportunity that grew the business. Of course to reach the First Page was not easy. It required a lot of time and effort. It is achieved with Organic SEO, which means that you use Search Engine Optimization techniques and tactics, such as On Page SEO and Off Page SEO, to cause the ranking of your website to increase naturally. The first thing you need to do is to do Keyword Research, and find the main keyword phrase that you want to rank your website for. Then do On Page SEO that includes optimizing your Title Tags, Meta Descriptions, Headers, Image Alt Tags, and more. Off Page SEO will require more work as it is creating mentions of your website on other websites by creating backlinks, listing on directories, social signals, and more. As mentioned, this part of the Digital Marketing will require a lot of time and effort. And it is worth it when you see the returns. You will not see it immediately. But if you are doing your business for the long haul, then you will appreciate SEO Strategy as it is a long term strategy for long term results. Content is King. And Content Marketing may seem easy, but it is not. Content is not just producing articles or news about your business; it is also be about being informative, engaging and shareable. It should also have keywords that will be easier to find through search engines and will appear on organic searches. According to a study made by business2community.com, while less than 10% of their respondents say that content marketing is not helping their businesses grow, on the same study, 73% claims of having improved brand awareness and 64% on increased traffic due to their content marketing efforts. This goes to show that engaging and shareable content marketing can create better opportunities for companies. Another importance of Content is that recent Google Updates now view content as an important ranking factor. Google and other search engines love fresh content. So it is ideal to continually create fresh content for Content Marketing. Make sure you create not just quantity but more importantly Quality Content. Sharing contents and answering your consumers’ concerns through your social media accounts indicate how proactive you are in reaching for your consumers. In a study made by IDG or International Data Group in December 2012, 95% of consumers are using social media, with 44% indicating their purchase is affected by the product’s exposure in social media. This shows how significant social media exposure is for businesses, big or small. In addition, there is something called Social Signals. There is a bit of debate regarding this. Some SEO experts have said that Social Signals play a part in SEO, and help a site to rank better. Some disagree. Google is not giving any clear answers on this. To me, I believe Social Signals do help with a site’s ranking. So, to me, a business must be active on social media. It is not a luxury. It has become a necessity. Let’s face it. Email is here to stay. When Internet came onto the scene, everyone loved emails. There was a kind of thrill receiving emails, and a voice that said “You’ve Got Mail!” But then, in time, people started to receive more and more emails. There were those from people they trusted. And then there were those that were spams and scams. People began to wonder if emails would die a slow death? Today, Exact Target reported that there are more than 3.2 billion email accounts in the world, 95% of online consumers use email and, 91% check their email at least once a day. That includes me. Email marketing is now more effective than social media (for customer acquisition). It is economic and cost effective, personable, customizable, actionable, measurable, and the best part – it can be accessed almost anywhere now that we can read emails on mobile devices. Yet, emails can become a bother to a consumer, especially when it is not sent in an orderly manner and the contents have no significance with the business. Have a schedule on the emails you will send to your consumers and remind them of how great your business is without exaggerating. Make sure that you send information that is relevant to your business, products or services and will also be useful on their end. Your email recipients will appreciate it more, and may even share about your company and your products or services. * Tip: An area to look at – SMS Marketing. This is growing, and will get bigger in 2017, and beyond. Marketing analytics is a crucial part of your Online Marketing Strategy. This will determine your company’s standing, how well your Internet Marketing efforts are affecting your business’ sales and what can be lacking. Efficient Analytics can help your business have a solid solution in the issues you encounter and what steps you need to take next. The image above displays the analytics for an ECommerce Store, particularly for a month, and for the channels that the traffic was coming from to their site. In a nutshell, the figures highlighted in red circles on the first row proved that Organic Search drove the highest amount of traffic, new visitors and conversion rate while having Low Bounce Rate. The average session per visitor was the 2nd highest, after the traffic from Social Media (see row 6, 4:53, circled in red). I won’t elaborate more here, as I will be doing that in another future blog post. But basically, the above analytics helped the ECommerce Store to realize that their SEO and Social Media Strategies are driving traffic to their site, and converting well. 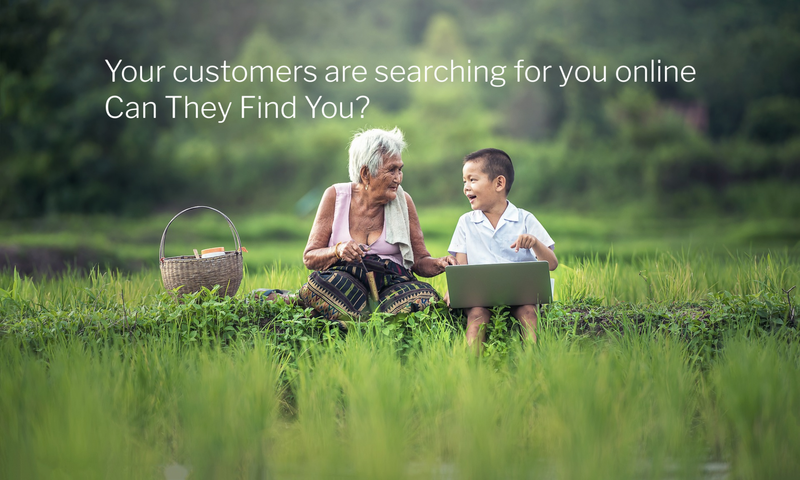 Understanding that, they can now fine-tune their digital marketing strategy to focus and spend more on SEO and Social Media to grow their business. Another viewpoint is that their Email Marketing is weak. And if that is a strategy they like to improve upon, then they need to create a better strategy, and have better tactics for this. Having all these elements mentioned above working harmoniously for your Digital Marketing will definitely lead your company to a better future. At the very least, an edge over your competitors, especially those who lack strong Online Marketing or any at all. Start on these elements and work your way up. Invest on your Internet Marketing needs wisely. Getting help from Digital Marketing Professionals will be a better move if you need any help with your next move in your Digital Marketing Strategy.